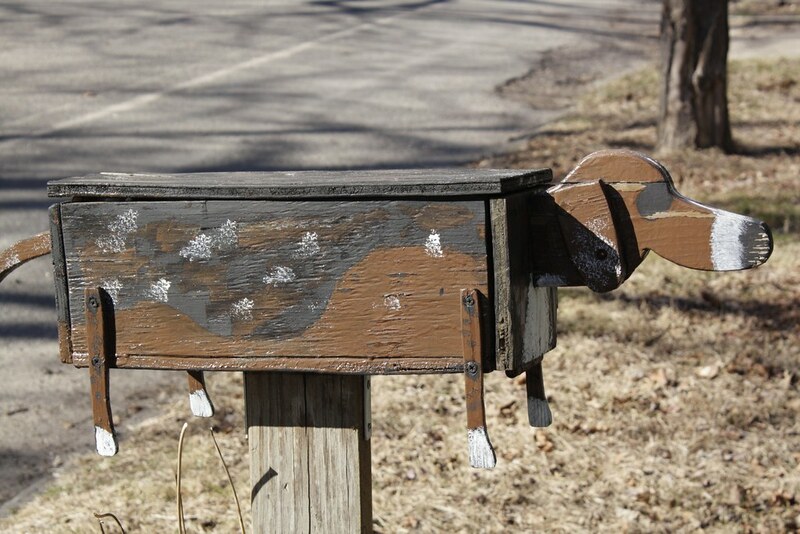 Love this letterbox. My letterbox is rehashed from a biscuit tin! Wow..this is so cool! Love it! How cute is that?! Did you make it?! I can tell you love your dogs :) I love mine too! His name is Snoop and he's a cutie, though he'll have some competition for attention come this summer!! Wonderful. Someone is very talented. Very nice - may we see a Cat next? Very cute. Must make the mail carrier's day.